HUNTINGTON, WV (HNN) – A real-life drama containing more complications than a mega million Hollywood disaster has been playing out on news channels. Despite the imagery that does recall the f/x of cinema, one watching must understand --- this is not celluloid and make believe. These are real people , suffering, hurting, and dying. 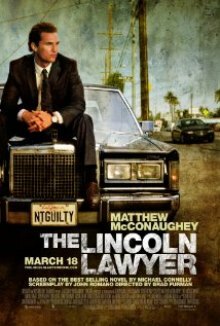 Don’t let the drab “Lincoln Lawyer” title fool you --- first, Matthew (We Are Marshall) McConaughey stars and it’s not a period pic. In fact, it’s the present, Beverly Hills , California, and the on-screen Coach Lengyl plays an attorney conducting business out of a Lincoln Town Car.